and the “built environment”, but also about each area individually. And though I originally resisted this, I think this would be a wise thing to try to do. So that is what I have done. 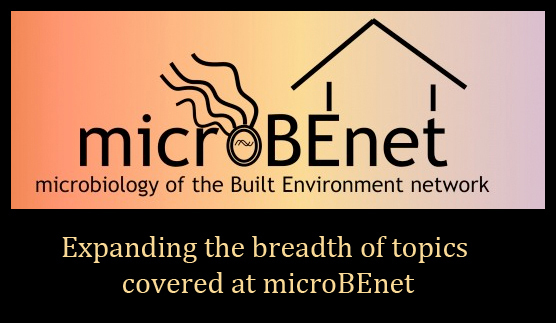 I have asked members of the MoBE communtiy to post at microBEnet about any of their work or interests, even if not about the overlap between microbiology and built environment studies. I have also asked others who work on topics that are of importance to MoBE work to also post. Yes, this will lead to a broadening of topics. But I think (and hope) that will in the end be a good thing.